Quality Enhancement Cell organized a high level Faculty Development Program in 2016. Objectives of sessions were to maximize the faculty capacity to deliver the quality education to students. Secretarial staff including office assistants, coordinators, composers, store keepers, IT coordinators and Program officers are considered as the backbone of any organization, especially academic institutes. 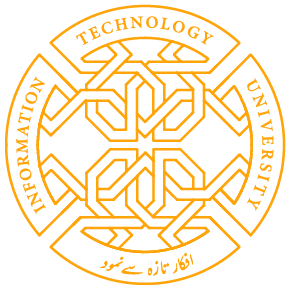 Quality Enhancement Cell at Information Technology University organized a three-day training program to enhance skills of its secretarial staff and ultimately in optimum use of this great human resource. High profile trainer from Pakistan Institute of Management trained the participants on “effective communication at workplace, different forms and use of technology in communication, take time to make time, and office management and administering skills” through Role Plays; Hands-on; Case Studies; and Self-Assessment through Video Recordings and Interactive discussions. The participants realized and appreciated this initiative and felt pleasure to understand how they can better use of new skills in day-to- day office work and add value to university. They urged that such types of trainings would definitely uplift their morale and skills. Participants became excited and pledged to serve the university in a highly dignified manner. Keeping in view the key role of peons, office boys, janitorial staff, drivers and cleaners, Quality Enhancement Cell at Information Technology University organized a one-day training session today. High profile trainers from Pakistan Institute of Management trained that staff on “Workplace Ethics and Etiquettes, Greetings, Dealing with People; Office Decorum, Politeness; Hygiene; Dressing; and Duty of Care” through different mode of trainings like PowerPoint Presentations; Hands-on; Case Studies; and Self-Assessment through Video Recordings and Role Plays.